Our school is located just north of Boulder next to the Twin Lakes (shown here). Founded in 1992, the Colorado School of Energy Studies is a hub for innovative learning in somatic and energy therapies. Our programs teach practical tools for therapists seeking to hone a wholistic approach to mental, emotional and physical wellness. We are passionate about creating safe, inclusive and supportive learning environments for students to not only learn therapeutic skills, but to experience personal growth to inform their therapeutic interactions with clients. Our programs approach therapy and wellness from a wholistic perspective, highlighting the intersection of neuroscience, physiology, trauma, attachment, mindfulness, energetic fields, psychology and spirituality. While each of our programs has a specific therapeutic focus, all of our programs are designed to offer basic skillsets to any therapeutic modality. We are a family-run school, founded by husband and wife team, Anna and John Chitty, and managed by Elizabeth Chitty Sandoval and Hector Sandoval. We are also proud to offer additional workshops from cutting-edge leaders in the field of somatic therapy. We offer professional training programs in Biodynamic Craniosacral Therapy, Polarity Therapy and Verbal Skills. We also offer continued learning opportunities in Two-Chair Counseling, Pre- and Perinatal Therapy, Embryology and Working with Babies. Combined, our courses offer students a thorough and revolutionary away to approach healthcare and therapy. All of our programs center around helping students to see the health in themselves and their clients, de-pathologize illness, and create a therapeutic program that facilitates growth from the inside out. Biodynamic Craniosacral Therapy teaches hands-on palpation skills to feel the forces of health in the body. Polarity Therapy gives a thorough overview of the human body as a complex energetic system, with skills to intervene on the psychological, emotional and physical levels. Verbal Skills offers verbal skills to work with trauma, attachment, and psychology. These courses combine to give students the skills to work with a host of conditions and to understand the intersection of physical, physiological, emotional and mental pain. We believe that these alternative approaches offer great insight to therapists and healthcare professionals of any field. The skills we teach are rooted in experiential understanding from the body, allowing students to confidently carry their learning into any field. With over 30 years of experience, John and Anna specialize in somatic learning for students of all backgrounds. John and Anna Chitty are the co-founders and primary faculty for CSES. Their formal health care training began in 1979, with Polarity Therapy. In her 40-year career, Anna has focused on understanding how body, emotions, and mind are essentially interdependent and unified in their function. Anna is the director of the Biodynamic Craniosacral Therapy 700-hour training program. She has developed a unique approach to teaching that combines experiential and cognitive approaches based on an understanding of the Autonomic Nervous System. In the 1980s she was the lead teacher and director of the Polarity Therapy and Holistic Health programs at Murrieta Hot Springs, CA. Her responsibilities included curriculum development and teaching staff management for five training tracks, from weekend seminars to months-long professional programs. She contributed to the creation of the Biodynamic Craniosacral Therapy Association of North America and served as a teacher liaison to its first Board of Directors. She was also a co-founder of the International Association of Biodynamic Trainings. She has been a keynote speaker and presenter at many professional association conferences. In addition to directing her own programs at CSES, Anna has collaborated with many other holistic health leaders, including courses relating to birthing, embryology, group dynamics, Autonomic Nervous System, End-of-Life and other topics. She was a co-facilitator of Matrixworks and co-teaches trainings with Ray Castellino. She is also an approved teacher of the Diamond Approach and an ordained Zen Practitioner in the Rinzai Zen Lineage. She has been a guest teacher in many places around the country including Santa Barbara, Ojai, Los Angeles, Portland and Asheville. John was Manager of Meadowlark Health Center (Hemet, CA) in the late 1980s. He is author of Dancing with Yin and Yang: Ancient Wisdom, Modern Psychotherapy and Randolph Stone’s Polarity Therapy. He also co-authored Energy Exercises: Easy Exercises for Health and Vitality Based on Randolph Stone’s Polarity Therapy. He has produced educational materials for the CSES YouTube channel, and written numerous articles for various publications. He served five terms as President of the American Polarity Therapy Association and also served on the Boards of Directors for associations including Polarity, Biodynamic Craniosacral and Peter Levine’s Foundation for Human Enrichment (the organization for Somatic Experiencing®). He has also been a guest teacher at energy therapy schools in various locations such as Zurich, Austin, Santa Fe and Minneapolis. 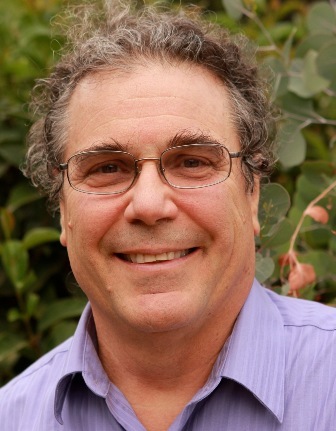 With CSES, John is director of the Polarity Therapy programs. Anna and John met in college and married in 1973. They shared an interest in holistic health from the beginning. Jaap has presented seminars on embryology at CSES every other year, since 2002. He is senior lecturer in the Department of Anatomy and Embryology of the University of Maastricht. His work may be viewed at embryo.nl. An 8-disk DVD course of his three-day program, filmed at CSES in 2005, is available in our bookstore. Elizabeth started editing videos for CSES in 2008 and has slowly worked her way into being an integral part of the CSES team. Certified as a Biodynamic Craniosacral and Polarity Therapist, she is passionate about continuing her parent’s vision and legacy as Director of CSES. Hector joined CSES in 2018 to help bolster administrative capacity. 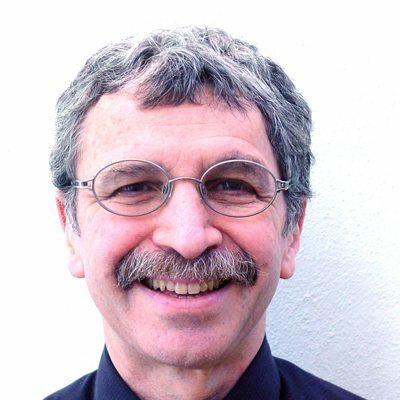 He is a Certified Rolfer®, Polarity Therapist and is finishing his certification in Biodynamic Craniosacral Therapy. He is grateful for all he has learned at CSES and enjoys supporting students in their journey at CSES. Azul joined the team in 2018! His job includes making special appearances to stimulate the flow of oxytocin and accentuate the social nervous systems in class. He is a master!